Presented by Dr. James Galloway, Christian Pankhurst, Matthew Collison & Rebecca Roopnarine. This free study day is open to all medical, nursing and AHP staff involved in managing patients with autoimmune conditions and will focus on the identification and management of musculoskeletal complications. For more details and the programme for the day, please visit the event page. These 1-day practical workshops provide a supportive environment for GPs and other frontline healthcare professionals to develop their confidence and skills in the diagnosis, treatment options and self-management of patients with MSK conditions. Click here to book your place on any of the above workshops. Watch a video of the workshop in action. 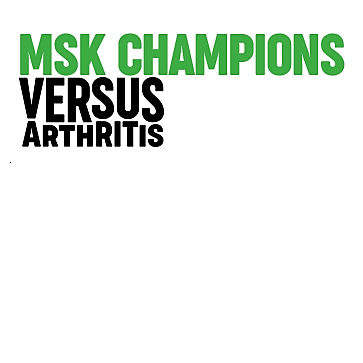 Versus Arthritis are delighted to announce that they’re now open for applications for the second round of the MSK Champions programme, a prestigious leadership development opportunity. Together with international business school Ashridge Executive Education, they created a bespoke leadership initiative, which will support you to become a Champion of musculoskeletal care. You’ll join a galvanized community of role models and ambassadors who champion change and work together to improve musculoskeletal care. Are you passionate about leading change in MSK care? If so, applications for the second cohort are now live and the programme will start in June 2019. NICE launched a bursary scheme for voluntary and community sector organisations for the 2019 NICE Annual Conference which is taking place at the Hilton Hotel, Deansgate, Manchester on 9 May 2019. This year’s bursary package consists of a full day delegate pass to the conference worth £149 plus VAT. The bursary scheme is open to national voluntary and community sector organisations, local and regional Healthwatches, and can be applied for by completing and returning the application form. Further details of the bursary scheme and the application form are available on the NICE website bursary page. View the 2019 NICE Annual Conference agenda for full programme of events. The programme for physicians taking place in Leeds, 11-13 Feb, is available here in PDF. Booking is via the BSRM website. 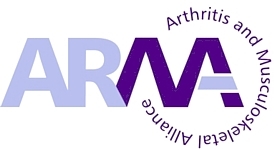 This 3-day course is aimed at physicians managing non-inflammatory musculoskeletal conditions and will appeal to those in rehabilitation medicine, sport and exercise medicine, rheumatology, pain medicine, radiology, orthopaedics and general practice. The comprehensive course aims to cover both basics and advanced skills in musculoskeletal medicine and rehabilitation for those in training and established specialists in the area. Physicians who manage secondary musculoskeletal complications in their non-MSK practice are also likely to find the course useful. 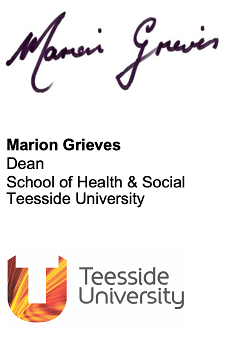 Teesside University and the Society for Promoting Chiropractic Education (SPCE) are delighted to announce the start of a new chiropractic course. Subject to regulatory clearances, the course will begin in Autumn 2019. This is a major development as it is the first chiropractic course in the North East of the country and will continue to enhance and increase the opportunities for the profession, not just locally but also nationally. Teesside University has world-class training and research facilities for musculoskeletal (MSK) healthcare, especially in physiotherapy and sports science. These outstanding facilities are nationally and internationally renowned. The course will be an integral part of the School of Health & Social Care offer and, will benefit greatly from inter-professional learning. Marion Grieves, Dean of the School of Health & Social Care, said: “MSK healthcare is a significant and increasing demand on the health system and the economy. We believe that tackling this issue with the aid of highly trained professionals will be a major priority for the country in the coming years and we are proud to be part of this development. 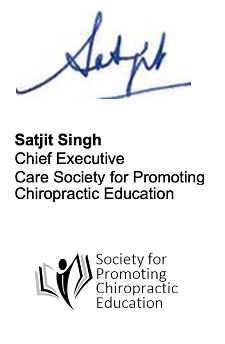 The chiropractic course fits extremely well with our existing offers within the school. Teesside students benefit from state-of-art facilities on and off-campus, supporting them to lead fulfilling academic and social lives”.